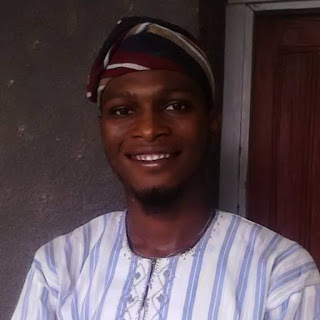 Barring a last minute change in schedule, students of the Obafemi Awolowo University, Ile-Ife will once again on Thursday, February 16 go to the polls to decide who next will lead the Students’ Union (SU). This comes after about three months the Professor Anthony Elujoba-led university management lifted the suspension placed on union activities. 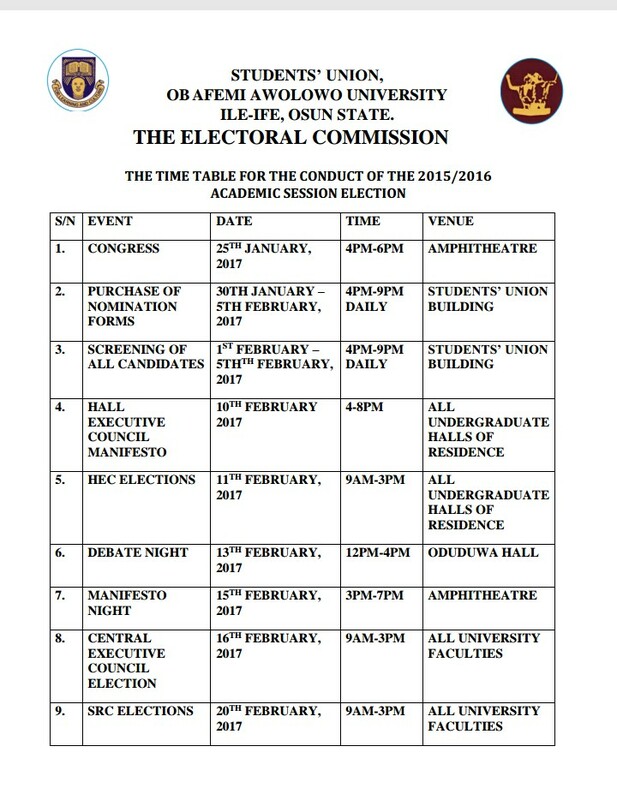 According to the time-table released by the SU Electoral Commission, elections into the positions in the Central Executive Council (CEC)will take place on February 16 across all faculties in the university starting from 9am till 3pm. Prior to the election day are the Debate Night and the Manifesto Night. There was drama at the Angola Hall of Residence in the late hours of Wednesday when a resident swore he could make thirty wraps of fufu disappear down the canals of his throat. Not the type to shy away from holding a fellow resident at his words, it didn't take long before Angolans made available the required numbers of fufu and a bowl of soup. The challenge thus commenced amidst cheers from a baffled crowd. After an intense fifteen minutes of swallowing, the young Angolan started showing signs of slowing down on the tenth wrap. His hand to mouth transits slowed to a crawl and he began begging the crowd to reduce the number of fufus from thirty to twenty to which the throng blatantly refused. Upon a tumultuous struggle to swallow morsels from the eleventh wrap of fufu, the Angolan gave up and called it a day, to the disappointment of the large number of onlookers. Gradually the crowd dissipated and students retreated to their individual rooms. 1. Only ACTIVE students are eligible to VOTE and be VOTED FOR. a. Clearance Certificate for the Session. 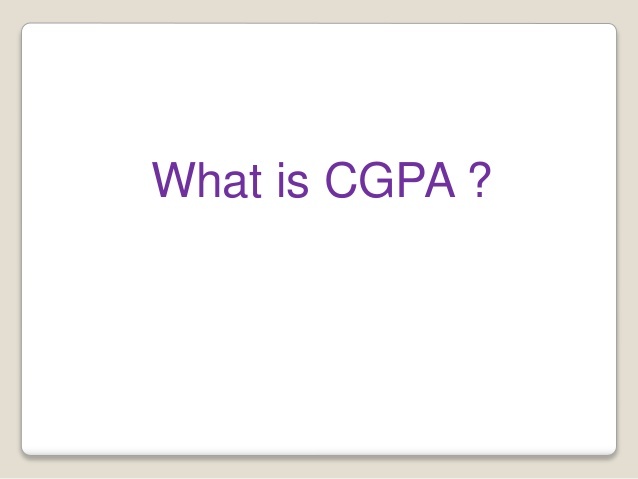 b. CGPA confirmation from the Faculty/Department. c. Accommodation Clearance for Hall Executive Council (HEC) contestants. d. An extra recent passport photograph with name/post written at the back. It is no longer news that the Student Union activities of the Obafemi Awolowo University have come to life again. This makes it possible to all students interested in one post or the other to have the right to vote and be voted for. At this peculiar period, the franchise of any student can't be underestimated owing him physically and mentally fit to the position he/she is vying for. Nevertheless, the facial appearance of any interested individual is been surfaced either directly or indirectly on banners, the halls of residence, online social media platform e.g WhatsApp , Facebook and so on. The ban has been lifted and the electoral commission have come out with modalities as well as date for the election. The walls are being therefore tampered with with some graphic representation of words of the post aspirants will be contesting for. 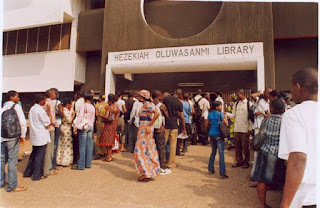 The management of the Obafemi Awolowo University is officially calling for persons interested in holding the position of University Librarian. Candidates are expected to possess at least a minimum higher degree of Masters in Library and Information Science with fifteen (15) years of cognate experience. Possession of a Doctorate Degree will be an added advantage. He / She must be 50years old and above, but not more than 65 years of age by February, 2017. Candidates are also required to have scholarly publications in reputable journals and must be members of the following: 1.Librarian Registration Council of Nigeria 2.Nigeria Library Association Furthermore, candidates are expected to be very computer literate and proficient in relevant computer applications as applicable to the running of a complex and modern University Library. The Governing Council of the Obafemi Awolowo University, through the Registrar has officially advertised that candidates aspiring for the post of Vice-Chancellor of the University commence application. This is coming after the extension of the tenure of the acting Vice-Chancellor. Professor Anthony Elujoba, who was selected by the majority to handle the helm of affairs of the Universtiy following the crises that rocked the University upon the last selection. Agreeably, Nigeria is a great, if not the greatest African nation, though with a generation of youth that seems to show less-promising potentials. A former colony of the British, Nigeria eventually became independent after many years of nationalist protests. I would not like to bore you with the history of our independence, but it’s important to pinpoint some facts that has kept our dear country in deep, troubled political waters. After some much anticipation, the oratory training event - ‘Man the mic’ – finally held on Friday, the 27th and Saturday, 28th of January at the Law Moot and Mock Court, Faculty of Law, Obafemi Awolowo University, Ile-Ife. 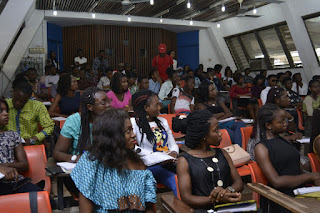 The event, organized to train participants in the act and skill of event-related communication, had in attendance popular media personalities and practitioners including Ayodeji Simbal aka MC Simbal, Anthony Awobode aka Don Tee, and Damilare Osundare aka Asiri Nla. Others are Nancy Isime, Timi Agbaje, and Ayo Atitebi. Declaring the event opened, the convener and organizer, Timi Agbaje in his words encouraged the participants to have an open mind and make sure they grab everything they could in the course of the training. The Economic and Financial Crimes Commission (EFCC) has invited former Obafemi Awolowo University (OAU) Vice Chancellor Prof. Bamitale Omole and the bursar, Mrs. Aderonke Akeredolu, for questioning. It was gathered that EFCC asked Omole to explain how he “spent” N208 million for the renovation of the VC’s official residence during his tenure. A Non-Governmental Organisation, Third Eye Transparency International, petitioned the EFCC, alleging embezzlement, fraudulent conversion and abuse of office. In the petition, the group urged the agency to investigate “the illegal disbursement and embezzlement of funds”. The NGO said the official residence had been built and completed for decent habitation long before Omole’s tenure and had been occupied by several vice-chancellors. In a letter dated January 19 addressed to the Acting Vice Chancellor, Prof. Anthony Elujoba, the EFCC requested for the release of Prof Omole and Mrs. Akeredolu. 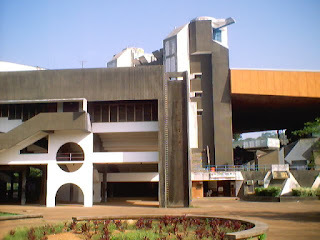 The OAU Students' Union is about to be restored for the second time in six years. I have a deeply partisan interest in the Union, and what becomes of it. A contrary interest would be inconsistent with my personal values and youthful sacrifices. I am alarmed by familiar pattern of campaign rhetorics, holding sway now, that gives the weak-minded a disguise of moderacy and the mediocrity a sense of balanced opinion. If another generation of students are deceived again, then prosperity will not forgive all of us for not doing what we can to learn from the past. What I can do is to offer my advice. One of Nigeria’s leading financial brands, the United Bank for Africa (UBA) has unveiled its maiden set of campus ambassadors. 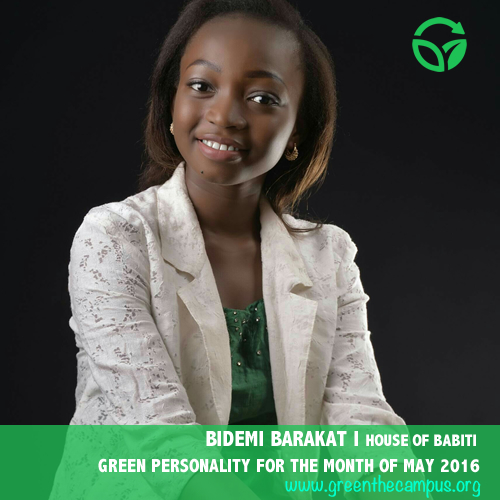 Among the selected youths are two students of Obafemi Awolowo University; Tiamiyu Barakat of the Department of Urban and Regional Planning and Fadaini Asalewa of the Faculty of Law. The selected campus ambassadors numbering 15 were inaugurated at the UBA House in Marina Lagos between 27th and 29th January 2017. According to reports, the successful candidates were selected from a pool of hundreds of entries following a rigorous screening exercise in line with set criteria. Be-The-Best Conference is an initiative that seeks to empower students across Nigerian tertiary institutions in light of our observation that adjusting to LIFE AFTER SCHOOL is an uphill task for most people. The conference looks to enhance survival instincts and independent ability, soft skills, practical knowledge, forward thinking and values that is generally required to thrive within the society after graduation.